Dr.Ing. 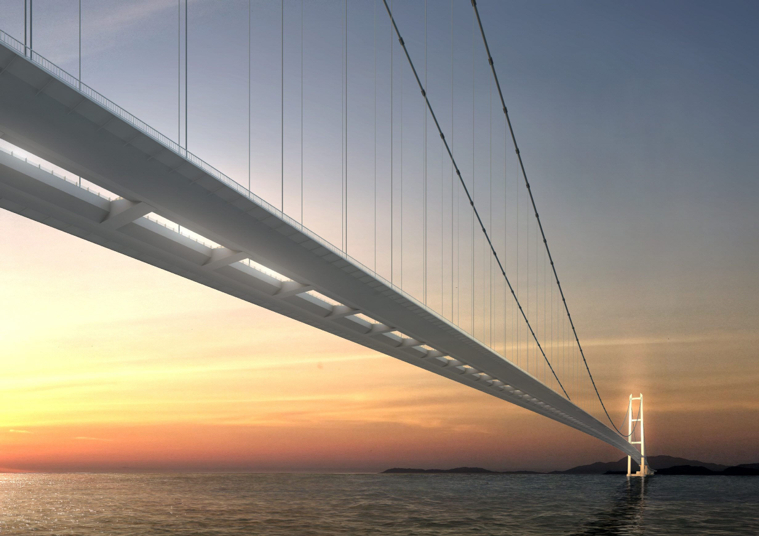 A. Aas-Jakobsen AS and Arup (UK)to carry out independent design verification (IDV) of 1915 Çanakkale Bridge in Turkey– the new world record span for suspension bridges. Dr. Ing A. Aas-Jakobsen AS (Aas-Jakobsen) and Arup will combine international knowledge of long span bridge design, structural engineering and geotechnical engineering in the independent design check for what is to become the world record suspension bridge span. The 1915 Çanakkale Bridge will have a main span of 2.023m and tower height of 318m. The bridge is going to be built by a Joint Venture consisting of Daelim, Limak, SK and Yapı Merkezi from Turkey and South Korea under the management of the General Directorate of Highways (KGM) and Ministry of Transport Infrastructure, Maritime Affairs and Communications as the Employer and Çanakkale Otoyol ve Köprüsü İnşaat Yatırım ve İşletme A.Ş. (ÇOK AŞ) as the Concessionaire. The bridge is situated near the historic site of Gallipoli, about 250 km south west of Istanbul. It will connect the Asian and European continents and is part of the new highway between Kınalı and Savaştepe. The main challenges for the design, apart from the record span, are the geotechnical conditions at the site, with the bridge being located in a seismic region of Turkey, and aerodynamic stability. To address the last issue a split deck design is being used, and the behavior is being confirmed by extensive wind tunnel testing. 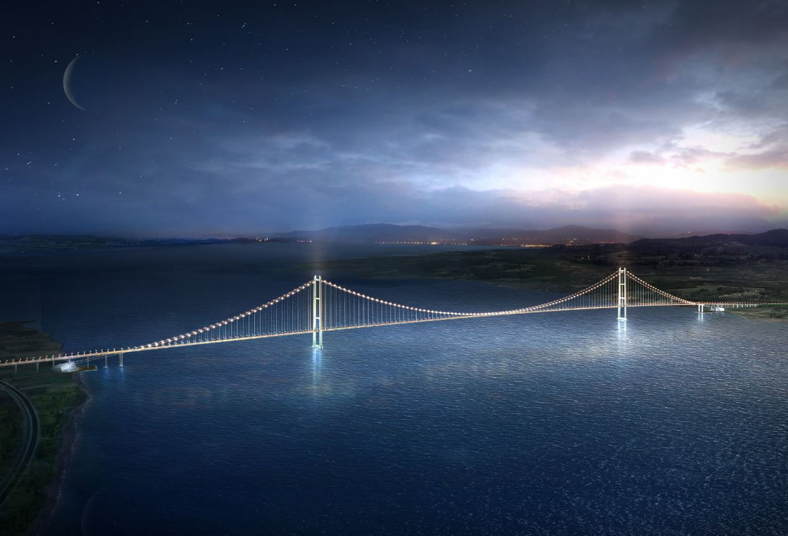 “The record span explores the boundary of current suspension bridge design. 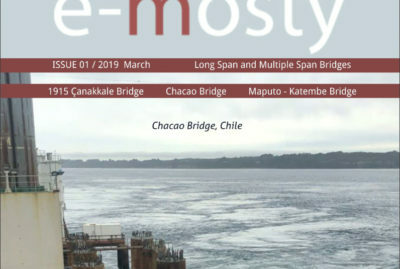 We are very pleased to be part of this project and contribute with our expert knowledge in aerodynamics, suspension systems and deck structure for long span bridges” says Svein Erik Jakobsen, head of the bridge department at Aas-Jakobsen. 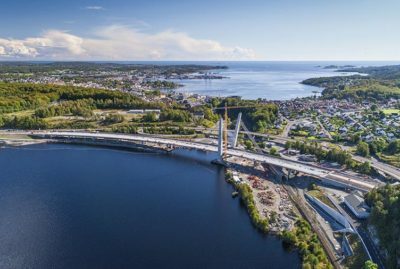 “Highly skilled expertise has been gathered together and led by Arup to provide independent verification to all aspects of this exceptional bridge. 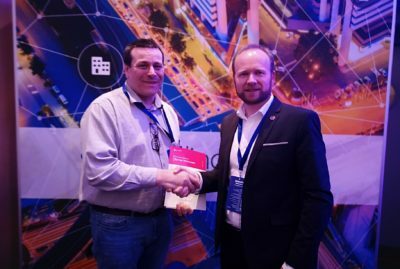 We are proud to contribute to such a landmark project that allows us to use our specialist skills in geotechnical, seismic, ship impact and long span bridge engineering to the full” says Matt Carter, Global Bridge Skills leader for Arup. Design and Build Contractor: DLSY JV, consisting of Daelim, Limak, SK and Yapı Merkezi.